WONDERGROUND happens the 3rd Thursday of every month. Doors will open at 7:30pm at The Olive, located at 3850 East Sunset Rd., Las Vegas, NV. There is a $20 admission at the door ($10 for Nevada residents). The Early Stage show begins at 8:00 pm. The Close Up show begins at 9:00 pm. The Late Stage show begins promptly at 10 pm. Please arrive at least 30 minutes prior to ensure seating for the shows. 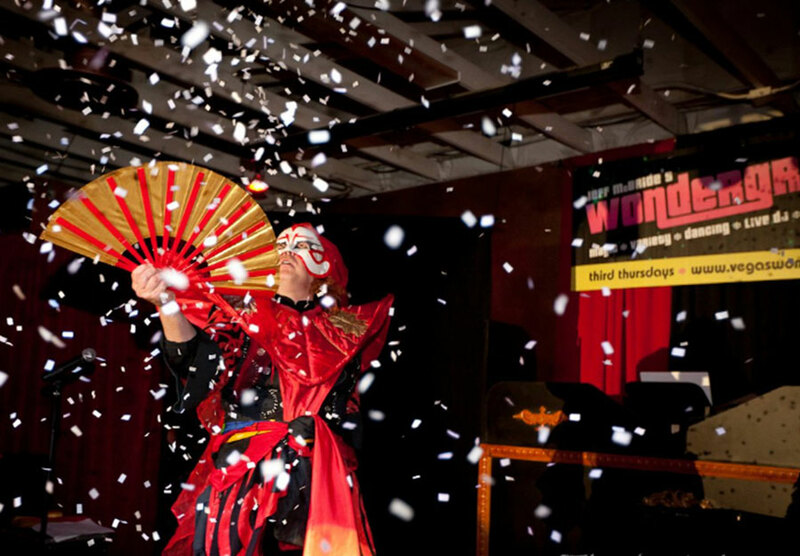 The WONDERGROUND was created as a place to bring the community of magic and variety together for an extraordinary experience in co-created art and play. The third Thursday of every month artists, magicians, variety performers, dancers, painters, musicians, multi-media artists and poets come together to celebrate and create an experience. WONDERGROUND is held at The Olive, a Mediterranean restaurant and hookah lounge. The entire 4-hour experience is hosted by world renowned magician Jeff McBride. The evening begins with a stage show featuring magicians, comedians, and other variety acts from around the world. Following this, a close-up show begins where a group of 50 people can experience sleight-of-hand magic in an intimate setting. For those who prefer to dine and socialize, the New World Rhythmatism Dancers fill the stage with inspired belly dancing. Throughout the night, the lounge is surrounded with live painters, sculptors, and ambient performers. Everywhere you look, art abounds. At 10pm sharp, the late stage show begins featuring world class magicians, jugglers, dancers, fire eaters, and poets, with different performers each month. After a final bow from all of the Wonderground players, the patrons mingle with performers and network with industry aficionados. 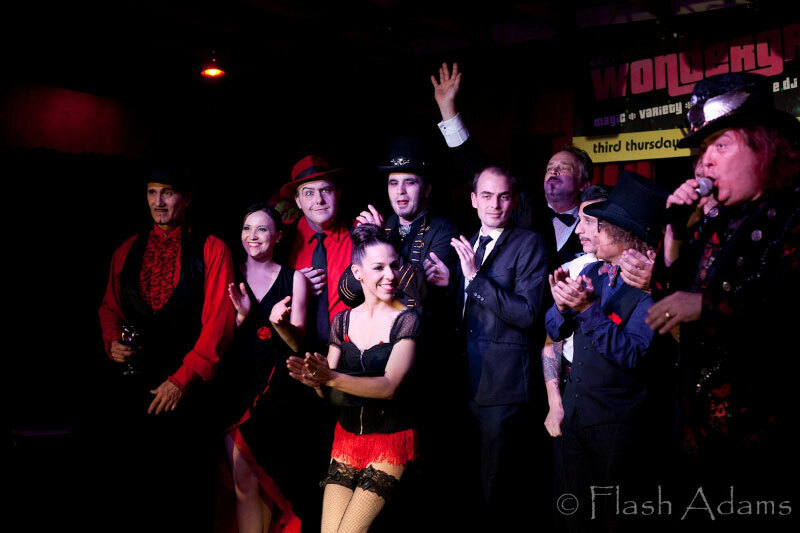 The WONDERGROUND grows from an artistic need for the Las Vegas performing arts community to create a life-enhancing expression of magical community and enlightened night-culture.